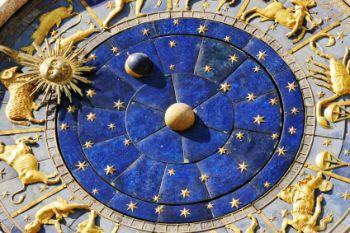 Lucky astrology aspects are usually what most people want to learn about whenever having an astrological chart reading. They might not be aware of the terminology, but the desire is the same. You may be like most people and want to know what your natural talents are. Knowing what your strong traits and abilities are is essential if you wish to take full advantage of them and develop your natural talents. If a talent is hidden from you, astrology can help you discover it and guide you in its use! In astrology, aspects play significant roles in your chart because they tie everything together. Aspects can help guide you, especially if you have a progression chart drawn and want to explore future events astrology. The number of degrees that separate planets create angles, and these are known as aspects. In addition, planets also create aspects to the ascendant, midheaven and descendant. The ascendant is above the horizon and is also referred to as the rising sign, the midheaven is the cusp of the 10th house that appears at the top of the chart, and the descendant is 180 degrees opposite the ascendant, located in the 7th house. The basis of astrology is a 360 degree circle that symbolizes the space surrounding the earth and includes the planets, sun and moon. An aspect is created every 30 degrees since the 360 degree circle is equally divided by the 12 zodiac signs. An aspect describes the space between two planets, and the lines connecting that space create angles. The angle of that distance is an aspect. This interaction of the planets transforms the energies. These transformed energies can create challenges and obstacles as well as present opportunities of blessings and fortunes, and other positive benefits. Many people refer to positive aspects as "lucky", and the energies certainly do seem to bestow luck. This is because the planets' energies are compatible and work together to bring about beneficial results. There are several terms that are used to describe various aspects found in astrological charts. Other aspects known as "ternary" and "harmonic" aren't commonly used. Some aspects are typically more beneficial than others; however, it's important to note that what might be a good aspect for you isn't necessarily the same in someone else's chart. Like other divination forms, astrology has a set of principles that direct and guide. The various combinations of these rules in individual charts create a unique composite that makes you who you are. The aspects serve as catalysts in your chart designed to generate action that, in turn, stimulates growth and change. Trine aspects are 120 degrees apart, plus or minus 6 degrees. Most astrologers consider this aspect to be the luckiest and most fortunate one since a trine angle sets up the perfect pathway for energy to travel between the planets. In theory, this pathway means your reception of the energy is unobstructed and allows you to receive full benefits. There may be instances, although not common, where a trine doesn't bring all good things to you. If the trine is offset by another aspect like a square, this could indicate that you need to take some kind of action. You may need to change something in your life or take a different path in order to activate the trine energies. Some astrologers believe that instances like this are significant and most beneficial because they require the most soul growth. Regardless which school of thought you follow, a trine is a positive aspect, so take full advantage of it wherever it appears in your chart. Conjunctions are within 8 degrees of each other, and there's a bit of a debate as to whether these aspects are actually "lucky". On the one hand, conjunctions act almost like turbo-charged energy. On the other hand, they can represent a blindspot. The direct and energy of the planets are dictated by the flavor of the planet itself and how close the orb (degree) actually is. Sextile aspects are 60 degrees apart, plus or minus 3 degrees. In comparison to the other positive aspects, this one is a weaker lucky aspect. However, a sextile planet can have positive influence over the other planet, and the transformation of the energies will also be beneficial. Jupiter is considered a very fortunate planet since it always brings expansion into whichever area it appears in your chart. It's commonly believed that expansion is a positive action that brings other gifts that come in the shape of opportunities followed by success in specific endeavors. A positive aspect will amplify Jupiter's beneficial energies and be viewed as very lucky. There are many ways aspects can affect your chart and therefore your life. For example, if you're having a relationship chart drawn for you and a lover, your individual aspects must be analyzed as well as the aspects between your two charts. At first glance, some of those aspects may appear negative, but when further analysis is conducted, the aspect turns out to be a backhanded lucky aspect because it forces a transformation in a particular area of your life. This kind of transformation is considered necessary for your soul growth and is why it would be considered beneficial. Otherwise, the aspect energies cannot motivate a transformation and be fully utilized. As you can see, lucky astrology aspects cannot operate effectively on their own. They are dependent upon the other energies in your chart to actualize their full potential.